Pretty autumn coloured trees over the Bruges Canal (photo: Susan Gough Henly). 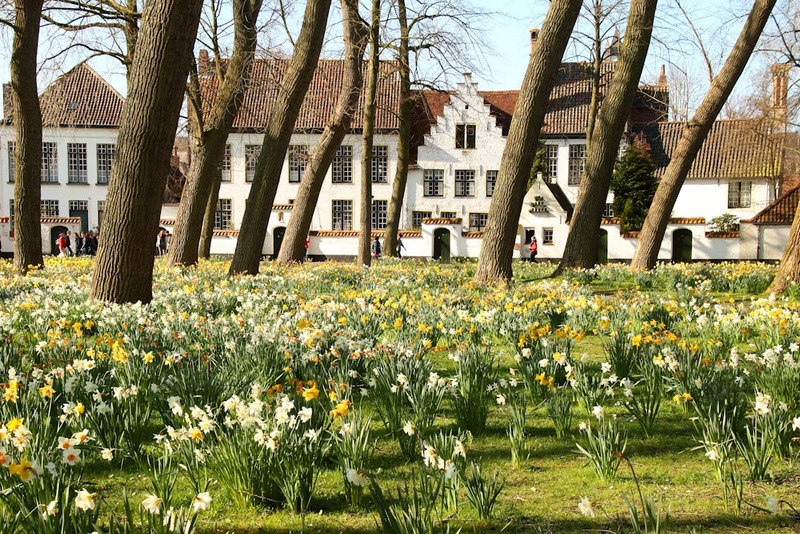 The Beguinage in Bruges is adorned with cheery daffodils (photo: Susan Gough Henly). 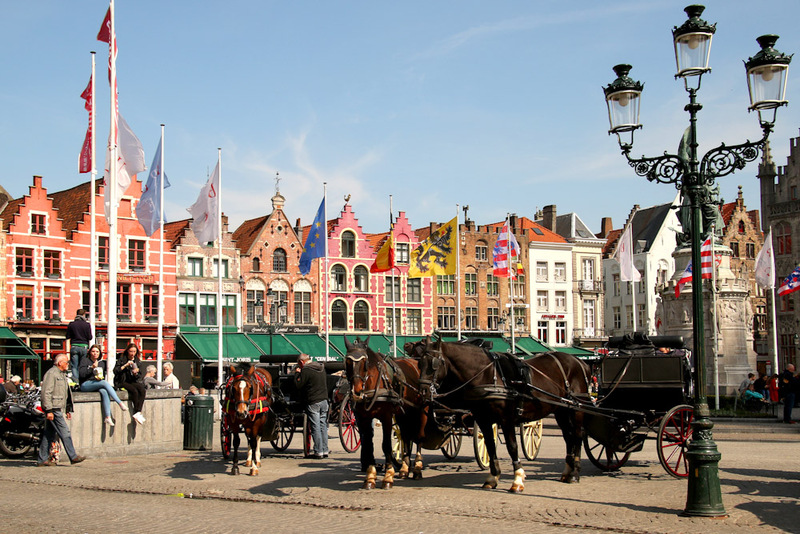 Horses in front of beautiful Markt square. Bruges, Belgium (photo: Susan Gough Henly). 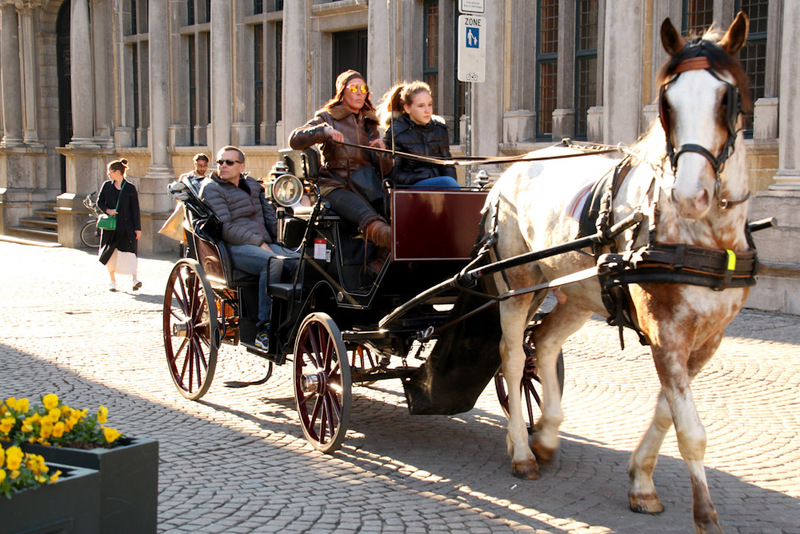 Travelling around Bruges on horse-drawn carriages (photo: Susan Gough Henly). 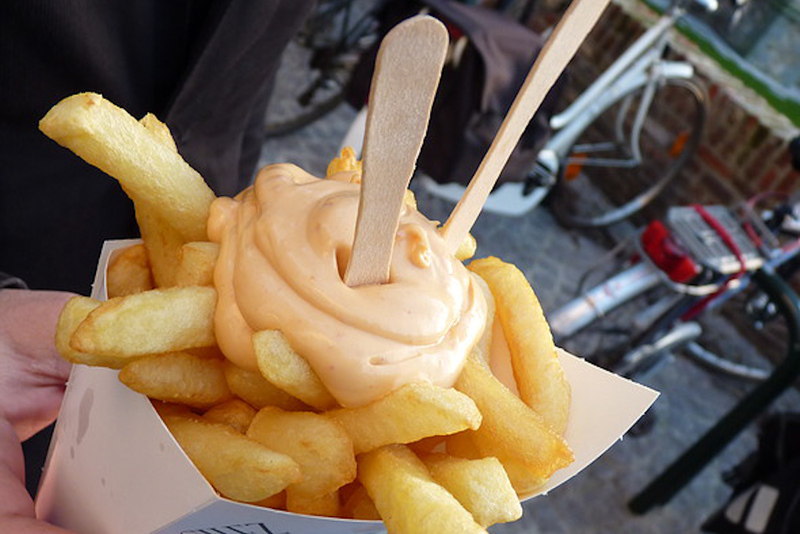 Belgian friets served with a huge dollop of mayonnaise. Bruges, Belgium (photo: Susan Gough Henly). Gilded royalty in the Church of Our Lady in Bruges (photo: Susan Gough Henly). Bruges' ornate Hotel de Orangerie (photo: Susan Gough Henly). 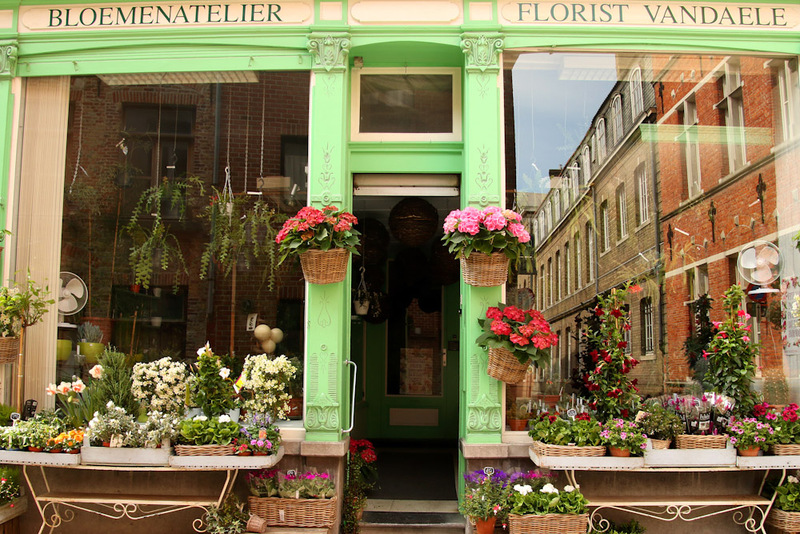 Pretty flower shop in Bruges (photo: Susan Gough Henly). 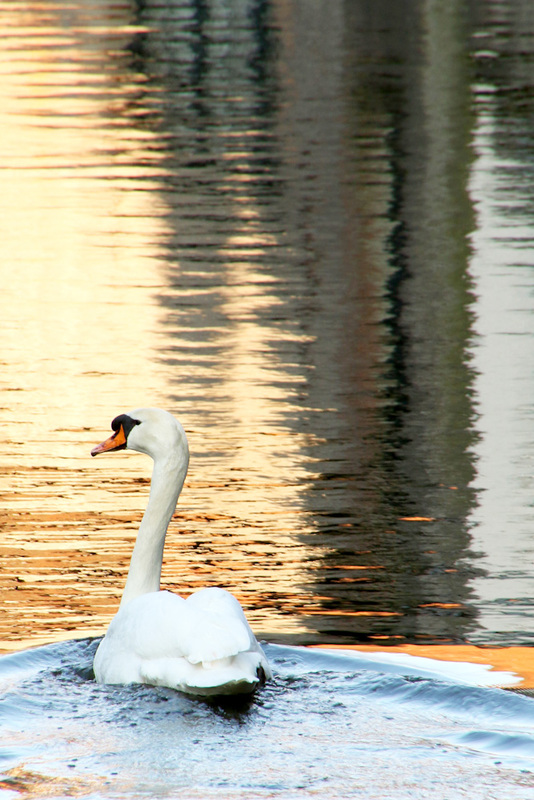 Swans are ubiquitous to Bruges (photo: Susan Gough Henly). 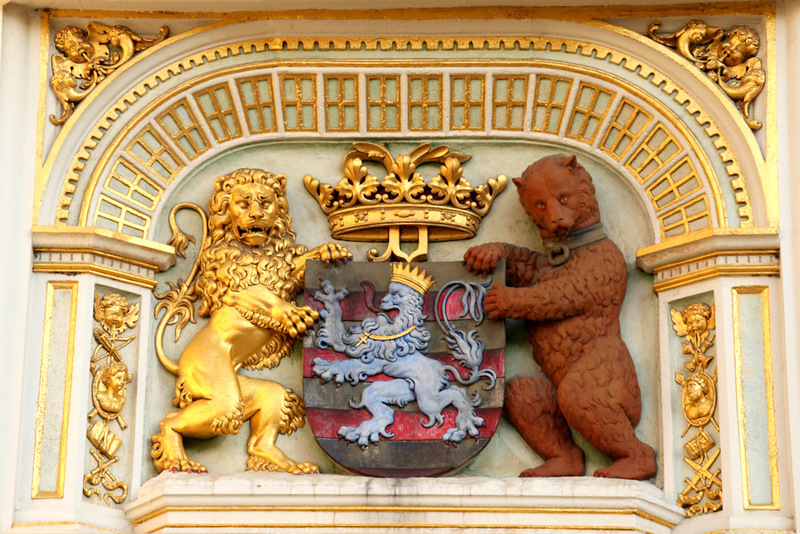 A coat of arms adorning Burg square in Bruges (photo: Susan Gough Henly). 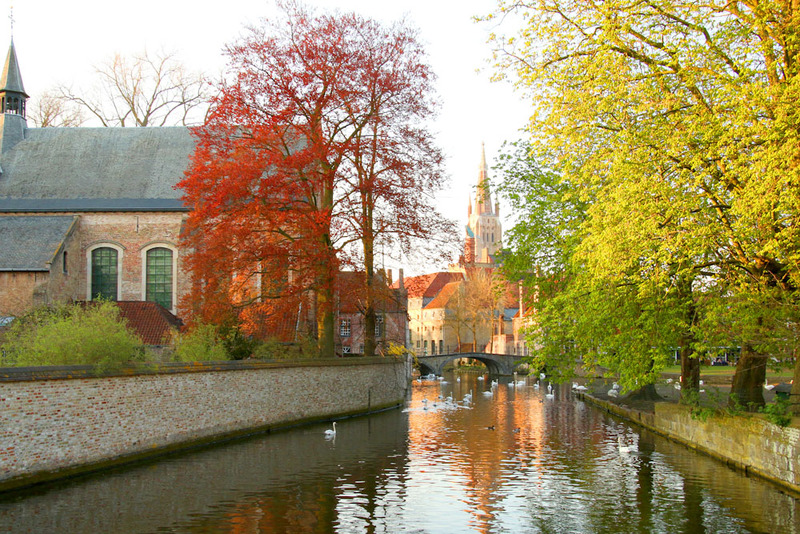 Bruges is a popular weekend destination so consider visiting during the week. Start your first day at the Markt Square in the heart of town and climb the 366 steps of the 13th-century belfry for a spectacular view of this medieval masterpiece. Admire the elaborate Gothic architecture at nearby Burg Square, which reveals just how wealthy this merchant city was in the 15th century. Check out the exquisite murals and ornate vaulted ceiling of the Gothic Hall inside the 1376 Stadhuis. Visit the nearby Basilica of the Holy Blood to see a chalice (displayed on Fridays only) that supposedly contains the blood of Christ, brought back to Europe during the Crusades. At the excellent Choco-Story museum you can learn about the origins of chocolate in Central America and how it evolved in Europe, and just why Belgian chocolate is so good. There are chocolate-making demonstrations and tastings, too. After you have the history covered you should visit two stand-outs among Bruges’s dizzying array of chocolate shops. Rock star chocolatier Dominique Persoone hit the headlines when he created a chocolate shooter for the Rolling Stones in 2007. Working closely with chefs around the world, he’s a key reason Bruges has become such a gourmet destination. He even has an heirloom cacao farm in Mexico. Sample whacky flavour combinations like bitter ganache and marzipan with wasabi, or praline of hemp seeds at his shop The Chocolate Line . The white-on-white BbyB store is a more zen-like experience where you can purchase pralines (dark chocolate with rhubarb and violet, perhaps, or babelutte toffee with apple) in colour-coded sleeves by Michelin-starred chef Bart Desmidt and chocolatier Jan Verleye. Stroll beside the tranquil, tree-lined Green Canal, framed with 17th-century mansions and gabled brick houses. Beside the Meebrug, the town’s oldest bridge, enjoy lunch at the airy canal-side Bistro Bruut where chef Bruno Timperman serves Flemish classics with a contemporary flair. As Europe’s oldest diamond centre, Bruges is where diamond polishing was invented. You can check out how it’s done and much more at the Diamond Museum. Now for a little retail therapy: Antwerp may be Belgium’s fashion capital but you can find the edgy designs of fashion trailblazers such as Dries van Noten and Ann Demeulemeester from the Antwerp Six at l’Heroine in Bruges. Other nearby shops include Fresh for clean-lined Scandinavian labels and T2 Vintage for funky one-off gems. If beer is more your thing, check out the 780-bottle beer wall at 2be, which also stocks a host of other Belgian-made products. Feast on Belgium’s iconic steamed mussels, served every which way, as well as loads of other seafood at Breydel De Coninc. It’s hard to imagine a more appealing spot than Cafe ’t Brugs Beertje to taste some of Belgium’s remarkable beers. This cosy, convivial laneway spot serves 300 of the country’s finest, including a number of rare Trappist brews. Enjoy a copious Dutch breakfast with cheese, smoked salmon, pastries and eggs in the ornate wood-panelled dining room or canal-side terrace at Hotel de Orangerie, one of Bruges’s few canal-side hotels. 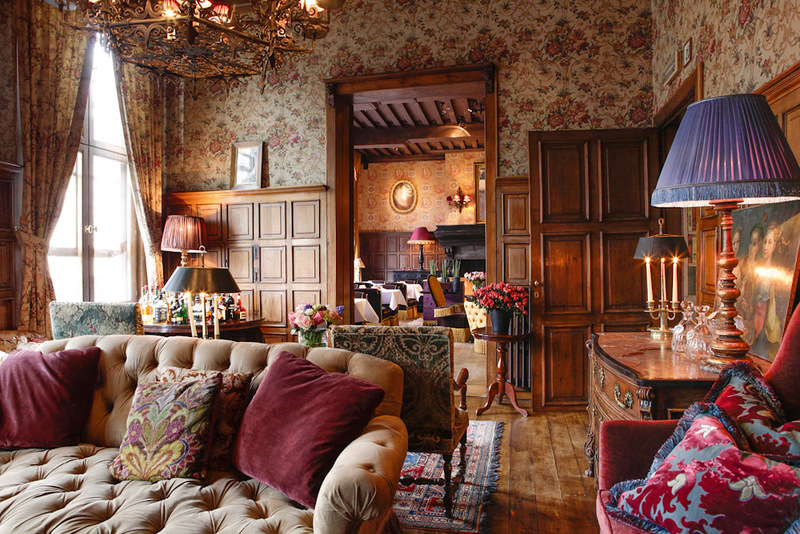 Set inside a 15th-century cloister, it is a charming base from which to explore the city. The arts flourished in 15th-century Bruges under the patronage of the nobility, church, and wealthy merchants. At the Groeninge Museum marvel at the gob-smacking realism in the oil paintings of the Flemish Primitives such as Hans Memling and Jan van Eyck. Walk around the corner to the Church of Our Lady to see Michelangelo’s sublime white marble Madonna and Child, the only sculpture to leave Italy during his lifetime. 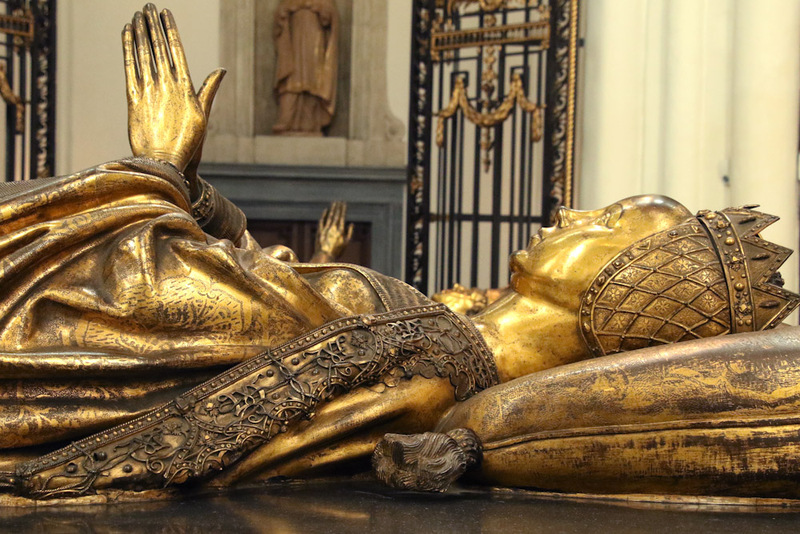 Make sure you take the time to check out the Gothic interiors and gilded bronze effigies of Charles the Bold and his daughter Mary above their tombs. Stop by Chez Vincent for the best Belgian friets, or French fries: thick-cut, twice-cooked local potatoes served in a cone with a dollop of mayonnaise, perfect for snacking as you explore. Wash down your friets by taking a brewery tour, which includes a tasting of the Madman of Bruges beer at De Halve Maan, Bruges’s last family-owned brewery. Cross a stone canal bridge to the Beguinage, a serene 13th-century cloister created for the widows of the Crusaders. Now the beautiful tree-shaded, white-washed houses (with daffodil-strewn lawns in springtime) are home to just a few Benedictine nuns. Bruges’s protected white swans congregate on the grass nearby. Rent a bike and pedal beside the tree-lined canal to Kruispoot, the most imposing of the city’s remaining gates. Of the four windmills nearby, Sint-Janshuis is open during the summer. Continue on for six kilometres through the countryside to the pretty village of Damme. Catch the sun’s last rays over drinks on the terrace of the tranquil Kasteel Minnewater, set beside the Lake of Love. End your stay with a bang at one of Belgium’s excellent three-Michelin-starred restaurants: De Karmeliet or Hertog Jan.